An Islamic State fighter holds an ISIS flag and a weapon on a street in the city of Mosul June 23, 2014. YouTube unveiled its latest weapon in its effort to combat terrorist propaganda on its site: redirection. Users who search for such content will be directed to videos that show victims of terrorism and clerics refuting violent religious narratives. Social media giants such as Facebook, Twitter and Google have been rushing to respond to the wave of hate speech and terrorist propaganda flooding their platforms where it can be accessed by people with a penchant for violent behavior. YouTube, which is owned by Google’s parent company, already prohibits users from uploading videos that include violent or racist content — such as Jihadi and white supremacist propaganda — but users circumvent the video sharing site’s rules by overwhelming the site with hundreds of links. Propaganda videos are also uploaded as “unlisted,” which means that the videos are hidden from searches, but easily posted on social media or disseminated with direct links to the video. Major companies, such as AT&T, Verizon and Johnson & Johnson, pulled advertising from YouTube in March as a long-standing dispute about the site’s approach to policing offensive videos boiled over, according to Adweek. But some digital privacy experts raised questions about the new effort by YouTube and the growing role tech companies are playing in determining what users see on the Internet. Jeffrey Chester — Executive Director of the Center for Digital Democracy — said the Redirection Effort might be an effective tool for combating propaganda, but he’s concerned about the role advertisers may have played getting the system implemented. “The advertisers took advantage of this controversy over hate speech to assert their interests over how Google and Facebook operate,” Chester said. “Independent sites — sites that fund the controversial ideas — know that there’s a slippery slope here. “The danger here is that Google and Facebook are making decisions about how the future of the digital media system operates without public oversight and accountability,” he added. The Redirect Method was developed by Jigsaw, a company owned by Alphabet, Google’s parent company, to target Isis-focused videos in particular, according to YouTube. Jigsaw says the method was developed with research partners who interviewed ISIS defectors and explored the major narratives that the group promoted for recruitment. Those narratives include ideas like ISIS is an unstoppable military force, one that has been legitimized by Islamic faith and that leads to effective government rule that improves people’s livelihood. Along the way, Jigsaw says, researchers discovered that effectively undermining ISIS propaganda does not always mean overtly attacking the group. 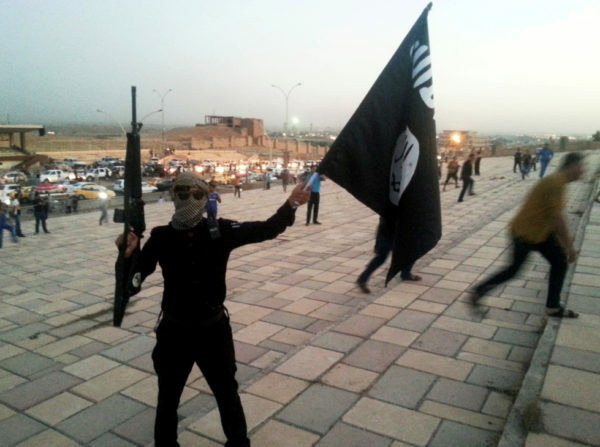 “We found an abundance of videos to support our project and our focus of the research was on seeking out videos that appeared to be neutral in intention — including documentaries or citizen journalist footage that portray the world as the creators found it, rather than materials that appear specifically designed to counter ISIS,” Jigsaw writes. An example, Jigsaw offers, is a video of a bold elderly woman belittling ISIS fighters and telling them to “return to the way of God.” The video has racked up nearly 600,000 views. Another example of a video someone might be redirected to is an interview with a captured ISIS fighter discussing the perils of life as a terrorist and how the group betrayed him. “ISIS pays $100 as a monthly salary, for example, and I used to spend five times that amount,” he explains. — Expanding the new YouTube product functionality to a wider set of search queries in other languages beyond English. — Using machine learning to dynamically update the search query terms. — Working with expert NGOs on developing new video content designed to counter violent extremist messaging at different parts of the radicalization funnel. — Collaborating with Jigsaw to expand the “Redirect Method” in Europe.